formerly the Chester 5 Theatres (P&G Theatres, Inc.), which closed in June 2017. 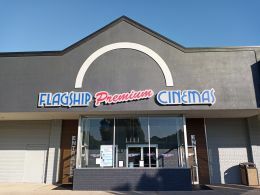 Opened in October 2018 as the Chesapeake Movies. This movie theater is near Chestertown, Lynch, Worton, Still Pond, Kennedyville, Crumpton, Betterton, Church Hill.